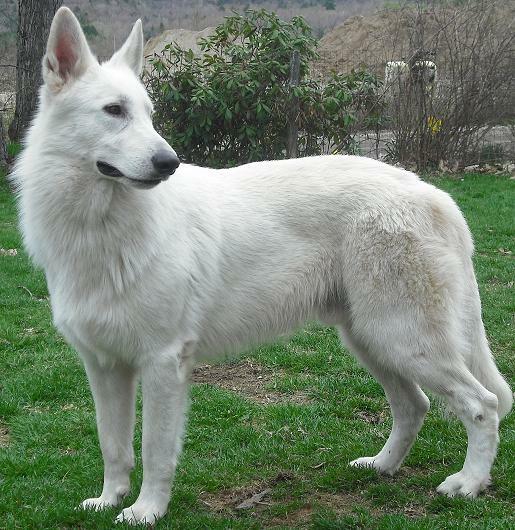 Antonio is a solid white German Shepherd, plushcoat. He has very good pigment, black nose, lips, eyerims, etc. Antonio has excellent comformation, with a beautiful head, earset and tail carriage. A sweet easy going boy, he has a very laid back temperament. Antonio has some Snowcloud lines which are known for their size and great structure. He does carry some German working lines as well. 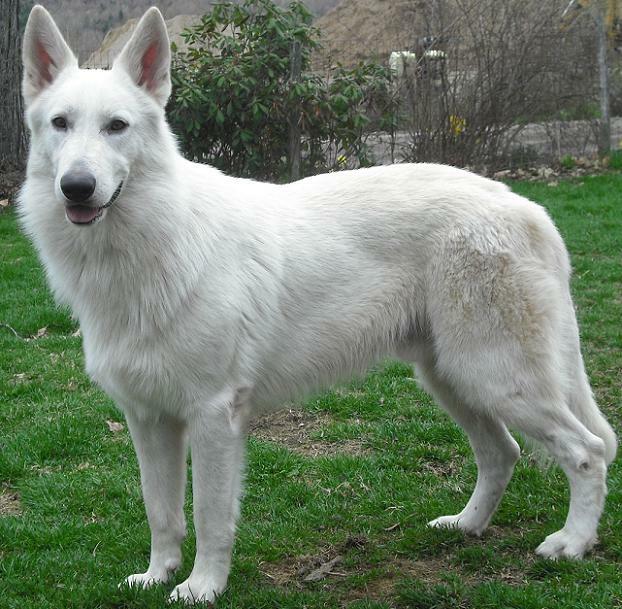 Antonio is not just here because he is a white dog, he has some excellent qualities which should add to our bloodline. We know because we kept 2 of them! (even when we were not home) at 14 weeks. Hopefully he will pass these qualities to his pups. CLICK HERE for pedigree and parents photos. The 2 pictures below and the one at left were taken March 24, 2011. Antonio is maturing into a really big, awesome boy. Antonio is a solid 95+lbs and 28" tall and still growing.